The government of South Africa has expressed outrage after Israel's decision to deny a visa to Higher Education Minister Blade Nzimande. Nzimande's spokesperson told local media that the denial of the visa had caused a "serious diplomatic problem". Naeem Jeenah, Director of Afro-Middle East Centre, based in Johannesburg, described the snubbing as "surprising" considering the two countries' growing trade relations. Jeenah said the Palestinian solidarity movement in South Africa "would be thrilled" with Israel's decision "because South Africa now has to respond to this matter". Arthur Lenk, the Israeli ambassador in Pretoria, told Al Jazeera that South African officials routinely visit the West Bank through Israel. 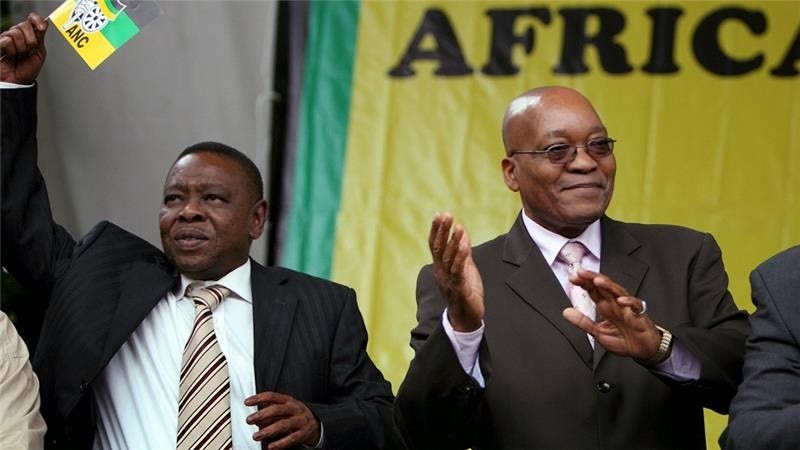 Lenk would not be drawn into discussing why specifically Nzimande's visa application was denied, though he described the minister as being "very vocal on a range of issues connected to Israel, South Africa and my region". The ambassador said the decision to deny the visa was made in Israel. "The decision came from Jerusalem," Lenk said. But Jeenah said that anything the Israelis say on the matter "could really only make the situation worse". The Palestinian embassy in South Africa described the decision as "racist". "We take note by this aggressive action that Israel is trying to implement the same rule as in the previous apartheid regime of South Africa," the embassy said in a statement. The Palestinian lobby group Boycott Divestment and Sanctions (BDS-South Africa) released a statement saying it's "more confident than ever that its time to expel the Israeli Ambassador from South Africa". "Israel cannot want to tell us who our friends should be, where we should travel and who we can speak with." BDS said. Nzimande has been a vocal critic of Israel. His spokesperson said on Thursday the minister would call on all higher education institutions to cut ties with their counterparts in Israel. "We must just boycott Israel," Nkwanyana reportedly said. South Africa currently has full diplomatic relations with Israel and recognises Israel within the borders demarcated by the United Nations (UN) in 1948. In 2012, Deputy Minister of International Relations and Co-operation, Ebrahim Ebrahim discouraged South Africans from visiting Israel. "We do not prevent them. We say we discourage them." The Ghanaian king of the Ashanti people or Asantehene, Otumfuo Osei Tutu II, arrived in the Seychelles on Wednesday evening as the guest of honour for the upcoming fifth annual Carnaval International de Victoria. The international carnival, which begins on Friday April 24, has this year attracted the participation of twenty-nine countries, one of which is Ghana. In addition, Swaziland’s King Mswati III sent his eldest daughter, Principal Princess Sikhanyiso Dlamini, to watch over the tiny Southern African kingdom’s cultural delegation, which will be taking part in the Seychelles carnival for the very first time. Both African royals were welcomed at the airport by the Seychelles Tourism and Culture Minister, Alain St. Ange, and were then received by the President of Seychelles, James Michel, at State House in the Seychelles capital of Victoria on Thursday morning. 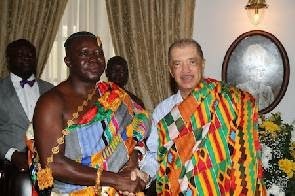 According to a press statement issued by State House on Thursday afternoon, the Ashanti King is keen to develop further cooperation between Ghana and the Seychelles, and he presented President Michel with a traditional royal robe, which the Seychellois head of state put on in honour of his visitor. The Asantehene is making a historic visit to the Seychelles, the country of his royal family’s exile almost 120 years ago. In the year 1896, at the height of British colonialism in Africa, the British government discontinued the office of Asantehene – the absolute ruler of the Ashanti people – and exiled the then-king, Nana Agyeman Prempeh I, the current Asantehene’s great uncle. 27 years later, the British allowed Prempeh I to return home in 1926 but initially only permitted him to adopt a lesser title, eventually restoring Ashanti self-rule and the title of Asantehene in 1935. Two months ago, Prempeh I’s great-granddaughter, Princess Molly Germaine Prempeh, who was born in Seychelles, returned in an emotional visit to the Indian Ocean archipelago of 115 islands after a 60-year absence, telling SNA of her wish to enjoy her sunset years in the land of her birth. During his visit to State House, the current Asantehene "commended the beauty of the country and its people", adding that his visit was an opportunity to learn more about the exile of King Prempeh I, his great-uncle. In his statement, President Michel expressed the Seychelles' commitment to preserve the unique historical links and heritage between the two countries. "The International Carnaval de Victoria provides us with an opportunity to showcase the many parallels in our culture and history as well as our ambitions to continue forging together our development agenda for the benefit of our people,” said Michel. 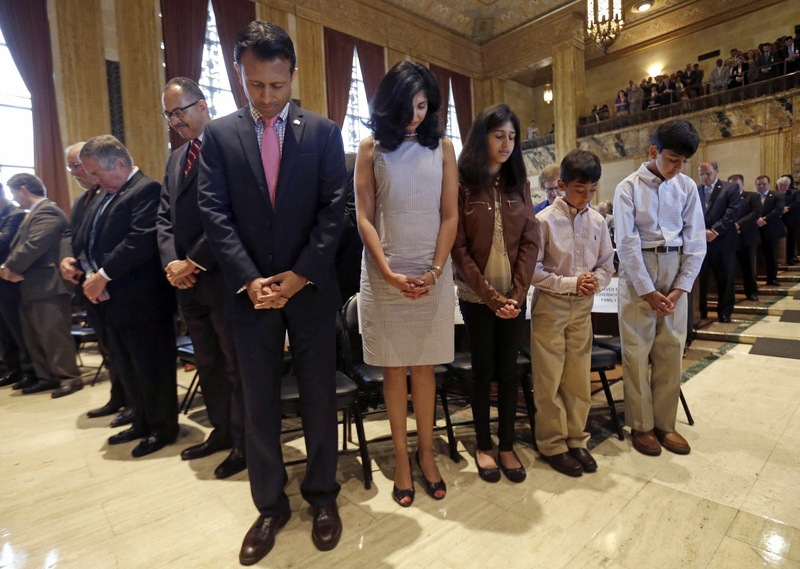 THE debate over religious liberty in America presents conservatives and business leaders with a crucial choice. In 2014, commodity prices tumbled. Many economists feared the worst for Africa. For decades the continent has been worryingly dependent on commodities to power economic growth. When prices crashed, economies would go into a tailspin. This time around, though, things seem different. The continent is holding up well. The map (on the left) looks at how forecasts from the International Monetary Fund for African growth in 2015-16 have changed in the past year. Compared to what it was predicting in April 2014, the IMF now expects slower economic growth in most African economies. For instance, the IMF now expects Nigeria to grow by 10% over the next two years, whereas in April 2014 it had predicted growth of 14%. Thus growth expectations have fallen by 4 percentage points, as the map's colouring shows. Some countries, especially those that are still very dependent on commodities, have seen bigger downgrades. But overall the situation is positive. Only two countries, Sierra Leone (a commodity-dependent economy which has also been hit by Ebola) and Equatorial Guinea (an oil-soaked kleptocracy), will see their economies contract over the next two years. Other African economies, meanwhile, have been upgraded. Lower oil prices are a boon for Kenya, which is a big importer of the fuel. And the Kenyan government is also embarking on big fuel-hungry rail and energy projects. What explains Africa’s solid performance? We discussed this in detail at the beginning of this year, but a few things stick out. Manufacturing output in the continent is expanding as quickly as the rest of the economy. Growth is even faster in services, which expanded at an average rate of 2.6% per person across Africa between 1996 and 2011. Tourism, in particular, has boomed: the number of foreign visitors doubled and receipts tripled between 2000 and 2012. All this means that even if income from commodity production slips, other parts of the economy can take up the slack. Better fiscal policy also plays a role. Until a few years ago, nearly all African economies spent freely when their economies were hot, only to rein in spending when things cooled down. That is the opposite of what most economists would advise a finance minister to do. 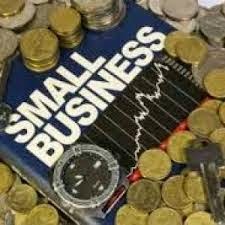 But in recent years, according to a report from the World Bank published in January, fiscal policies in many African countries have become more sensible. These days a fair number of African economies save money during the good times, in order to spend it in the bad ones. Even so, the casual observer should not be fooled. Africa is still too dependent on commodities. And its politicians need to do more to reduce their countries' reliance on the sector for economic growth. But things are a lot better than they used to be. Following an unreasonable fear of or hatred against foreigners living in South Africa which has triggered the senseless killing of mostly fellow African blacks, a civil society group, Citizens Advocacy for Social and Economic Rights (CASER), has called on the South African government to pay compensation to victims of the xenophobic attacks in that country. South Africa has been in the news for bad reasons in recent days, witnessing a spate of some of the most violent xenophobic attacks with at least seven people reportedly killed in Durban and Johannesburg. It would be recalled that the latest outbreak of anti-immigrants violence was widely blamed on a speech allegedly credited last month to King Goodwill Zwelithini, traditional leader of the Zulu ethnic group, in which he linked foreigners to crime and said they must “take their bags and go”. Though the king has since claimed his words were misconstrued. But the killings continued unabated. It was estimated of the number of foreign nationals in South Africa vary from two to five million, among a population of more than 51 million. According to some reports, the reasons are high unemployment and inequality, which the South African blacks claimed that foreigners are taking over their jobs. In 2008, 62 people were killed in xenophobic violence across Johannesburg’s townships. In January this year, six people died as looters rampaged through Soweto Township. However, CASER, in a statement issued on Monday in Abuja by its Executive Director, Mr Frank Tietie, has also demanded the setting up of a victims’ support fund by the Federal Government to assist affected Nigerians. The statement read: “The South African government would be compelled to pay compensation to all the victims of the xenophobic attacks. This is imperative since the government has failed to take steps to prevent the reoccurrence of the attacks after the 2008 xenophobic violence which led to the gruesome death of 62 persons. 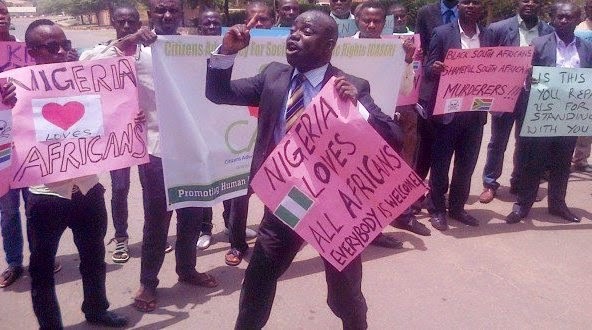 The Nigerian government would be demanded to set up a fund to which all South African businesses in Nigeria must contribute money to support the victims of the recent shameful xenophobic attacks in South Africa,” the group said “Black South Africans would be reminded of how ungrateful they are as a people to the rest of Africa, especially Nigerian workers who contributed money to their liberation struggles. We would show that Nigeria loves all people, especially Africans, and they are all fully welcome to live, work and do business in Nigeria with all their rights guaranteed,” the statement added. The Nigerian Consul-General in South Africa, Ambassador Uche Ajulu-Okeke, said that Nigerians had lost more than 1.2 million Rands (N21 million) in the ongoing attacks. Ajulu-Okeke stated that the losses included looted shops, burnt shops, two burnt mechanic workshops, 11 burnt cars and two stolen cars, among others. The xenophobic attacks were allegedly triggered by comments credited to Goodwill Zwelithini, an influential South African king, who was quoted to have said foreigners should leave the country. Zwelithini’s comments resounded among many poor South Africans who accuse foreigners of taking advantage of weak immigration laws to flood the country and “steal” their jobs. The Kumasi Abattoir has been selected as a viable facility where waste generated is set to be used to generate biogas. This is a nationwide pilot project by the United Nations Industrial Development Organization (UNIDO), which seeks to produce energy from bio waste. The construction of the biogas plant at the Abattoir which was expected to commence in April has been rescheduled to the second week of May this year. The 1.28 million Euro biogas plant would be the first in the UNIDO Biogas Project to boost renewable energy and to help Ghana generate gas and electricity from agro waste. The Korean funded project is also aimed at supporting the greening industries programme in Ghana. The biogas plant which is of Korean design, would demonstrate the technical and commercial viability of the biogas technology, and is expected to provide gas for cooking and generating electricity. The project will also generate energy from the productive use of animal waste from the abattoir through biogas technology. The technology, according to the UNIDO national project coordinator, Edward Awafo, would assist the country in managing its waste. Edward Awafo added that the idea is to use Kumasi as a model for the other abattoirs in the country. He said a feasibility study conducted at the abattoir shows that it generates 80 tonnes of waste per day which includes the rumens, darn, and other kinds of solid waste. He told TV3 the Korean delegation will arrive in Ghana on the 3rd of May to finalize the discussion with Ghanaian contractors and stakeholders and construction will begin the week after. The Kumasi biogas project would be replicated across the country and the West African sub region in the not-too-distant future, according to the UNIDO project coordinator. The gas to be generated from the waste at the slaughterhouse could be used in singeing the fur of animals. This would help the abattoir cut down on cost used to purchase LPG. It will also discourage the use of car tyres which has been condemned as unhealthy for meat consumers. The Kumasi abattoir spends over GHc 34,000 monthly on LPG for singeing the fur of animals. When completed, 430 cubic metres of biogas would be generated per day using the solid waste. Other components of the project include training and capacity building of workers of the abattoir. The Kumasi Abattoir Biogas Plant Project will serve as a case study for enrolling out similar across the country. According to Dr Akwasi Osei, his suggestion does not mean Mahama has a mental disorder, but it will be prudent for the First Gentleman to embark on such exercise considering his busy schedule. “It’s very crucial, for the whole country, the government is the executive of the country and the government is made up of people and for every single individual, your mind is the chief executive of your body. Therefore it means the mind of the President is the chief executive of not only his own body but the whole country and that becomes doubly crucial,” Dr Osei told Kumasi-based Ultimate FM. 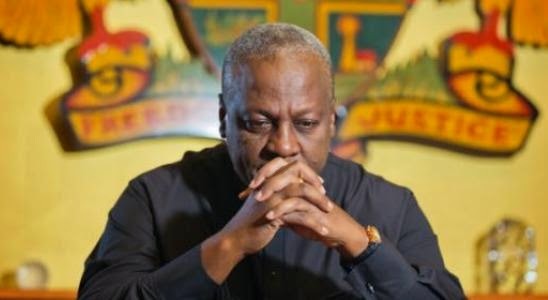 “I have no reason to think that he [Mahama] is in a state that requires a checkup per say, but is a general principle that we are giving… the presidency is a lot of stress and you’ll need to de-stress and this is a measure that will help him to de-stress,” the acting Chief Executive of the Mental Health Authority (MHA) told host Prince Minkah. “Would you want the president to take advantage of it [mental screening]?” Minkah asked. “It will certainly be important,” Dr Osei retorted. He is also of the view that every public officer must undergo mental screening at least once a year. “My counsel will be that… just as I would encourage them to have regular, clinical or health checkup, so in the same way, they should include psychological checkup in the health checkup. 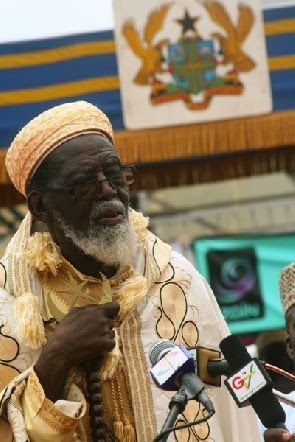 That is very crucial,” Dr Osei insisted. He added: “I’m not saying that go and check your heart alone, go and check your kidney and therefore go and check your mind alone, the holistic checkup should include psychological and it should be quite regular. May be the higher you are, the more frequent it should be.” A study conducted in 2009 showed that 41 percent of Ghanaians had psychological distress. 19 percent representing about 4.75 million of the 25 million population of the distress was moderate to severe; but enough to be considered mental disorder. Government is working to convert the septic tanks in all public institutions and households nationwide into bio-septic tanks. The bio-septics will then generate gas for domestic use and also enable government take the majority of the population off the national grid. This initiative is expected to help mitigate the effects of the three-year power crisis which has intensified over the last few months. Businesses and industries have been the worst hit as thousands of people have been laid off due to the energy challenges. 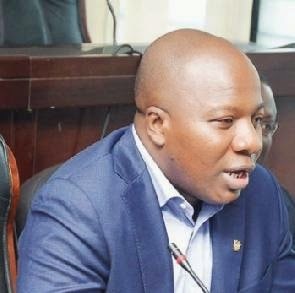 Mahama Ayariga mentioned that to prevent the economy from grinding to a halt and also to help prevent an increase in unemployment rates in the country, his Ministry has been holding meetings with different stakeholders including the Ghana Chamber of Commerce and Industry to develop a plan to help businesses use the bio-gas technology. The Institute for Industrial Research has designed the bio-gas plant which is presently being used at the Ankaful Prison. The Institute is also in the process of developing smaller plants which will be used by households in Ghana. The Environment Minister said the project will not be implemented on a pilot basis. “It’s going start at once across all institutions and we are using different mechanisms and that is why at this stage, we are engaged with the various stakeholders. What we are doing is a massive initiative to spread the technology and get everybody to use it,” he explained. The Environment Ministry will embark on a road show to sensitize citizens on the project before its implementation. Thousands of masons in Ghana will also be trained and equipped to build the bio-septic tanks for households. Mahama Ayariga appealed to the media to support the Ministry’s efforts by helping with the sensitization campaign. “It is also an effective mechanism for reducing the demand for firewood and charcoal to address the problem of deforestation,” he added. The future of a planned 155MW PV project in Ghana that had been expected to become Africa’s largest looks uncertain after it emerged that utility-scale solar in the West African country is to be capped temporarily at 150MW. Individual projects vying for support under Ghana’s solar feed-in tariff are to be restricted to a maximum of 20MW within that overall limit until the country’s first large PV projects are built and their impact on its grid assessed. Ghana’s authorities have been forced to introduce the cap after being overwhelmed with applications for generation licences under the country’s fledgling feed-in tariff programme. 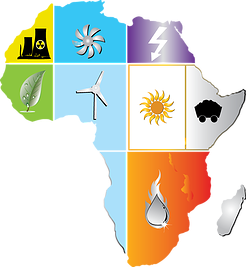 Details of the measure emerged yesterday at the first day of the Solar & Off-Grid Renewables West Africa conference taking place in Ghana’s capital, Accra. Addressing the conference, Ghana’s deputy minister for power, John Jinapor, said he was encouraged by the “overwhelming interest” among investors in utility-scale solar in Ghana, but said the imposition of restrictions had been made necessary to “maintain the integrity of the national grid”. He said the 150MW cap would be in place for the “short to medium term” for PV projects not incorporating grid stability or storage measures. Individual projects will be restricted to 20MW for the main Ghana Grid Co transmission network or 10MW for distribution network projects, Jinapor said. “Let me emphasise that these are only interim measures and would be reviewed from time to time as the grid network is upgraded. I have directed the Energy Commission to ensure strict adherence to the above provisions,” he added. The overall and individual project caps raise questions over the future viability of the Nzema project announced two years ago, which at 155MW exceeds both. When the project was first revealed in December 2012 by its British developer, Blue Energy, it was billed as Africa’s largest planned PV power plant. It attracted significant publicity and appeared to herald Ghana’s arrival on the scene as a new torchbearer for solar in Sub-Saharan Africa. PV Tech contacted Blue Energy but it had not responded to questions at the time of publishing. Indeed, interest in the FiT, introduced under Ghana’s 2011 renewable energy, was such that a pipeline of applications soon built up to 29 projects totalling some 2,155MW. But that level of deployment was soon revealed to be far more than Ghana’s limited grid was capable of handling. Speaking to PV Tech, Ghana’s director of Renewable energy, Wisdom Ahiataku-Togobo, said a study of Ghana’s grid capacity completed last year with the support of the German government had revealed potential to support 250MW of solar. However, he said the Energy Commission, Ghana’s power regulator, had opted for a lower initial cap of 150MW over two to three years to allow time for assessment. Ahiataku-Togobo claimed he did not have any specific information relating to the fate of the Nzema project. But the cap rules laid down by the Energy Commission would seem to suggest the Nzema project will be unable to proceed at the scale initially planned, at least for the time being or unless it incorporates the necessary grid or storage measures. As part of the 150MW projects falling with the cap, Ahiataku-Togobo revealed that the Ghanaian authorities were planning to hold what would be the country’s first competitive solar tender. He said the tender would be for one 20MW project and was aimed at establishing whether the introduction of a competitive process could drive down the price of solar energy in Ghana. He cited the example of the United Arab Emirates where a recent tender resulted in what is thought to the lowest price ever bid for a solar project. “We believe that is going to help us get the least cost option. If we are able to do that and it comes so low, we will use that as the benchmark,” Ahiataku-Togobo said, adding that the power minister would reveal details of the tender “very soon”. We write about this ‘blame Africans’ issue from time to time, eitherdirectly or indirectly, as do many others. It’s simply easier for people to blame it all on Africans because that absolves everyone else of any responsibility. You can read more about this in Impoverishing a Continentwww.africanspy.blogspot.com and in How the IMF, World Bank and Structural Adjustment Program destroyed Africa. The IMF has even tried pushing its policies on China!